In the South, the biscuit makes the breakfast. 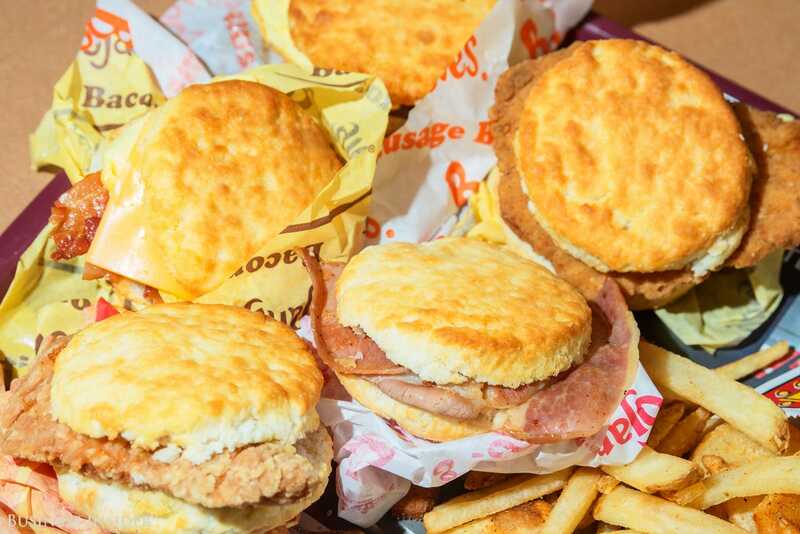 And the biscuit is the unquestionable star of the breakfast menu at Bojangles’, a southern chicken and biscuit chain that has cultivated a fervent cult following. 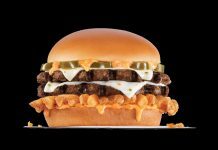 With over 700 locations in 11 states and Washington, DC, the chain has ensconced itself as a regional power player in the chicken game. 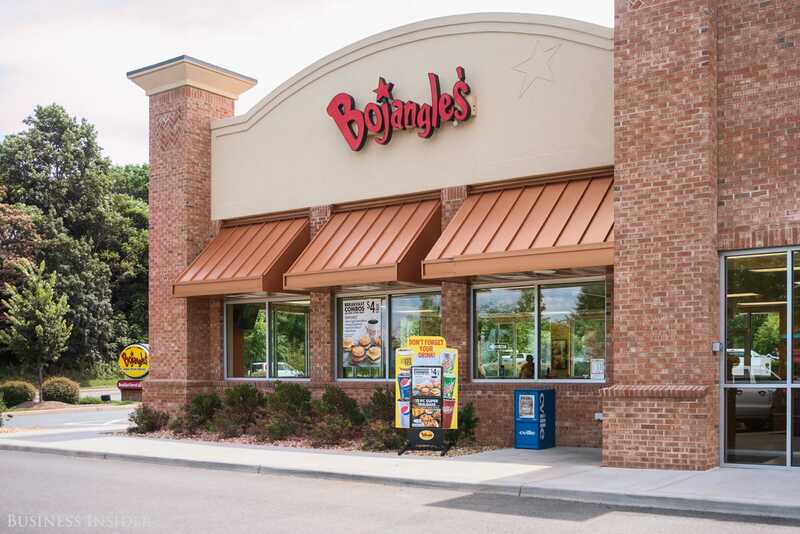 Bojangles’ is the fifth largest chicken chain in the country by sales, according to QSR Magazine. 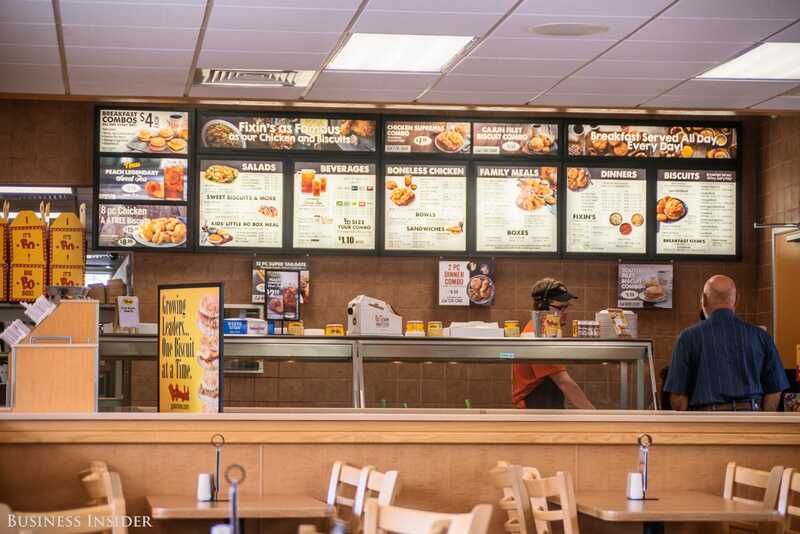 To see if Bojangles’ chicken and biscuit-centric Southern breakfast lives up to the hype, Business Insider visited a location in Virginia. 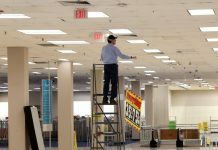 The North Carolina-based chain has over 300 locations in that state alone, but we visited one in Charlottesville, Virginia. 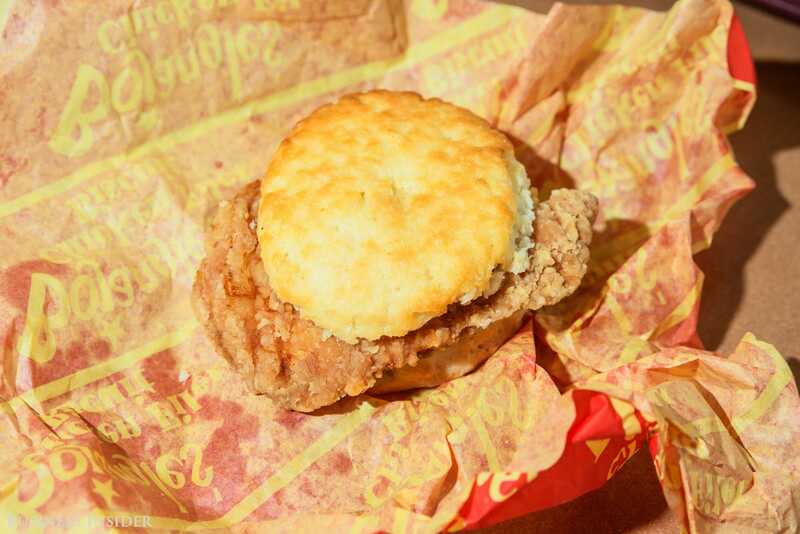 It was late in the morning, but we had no qualms — Bojangles’ serves breakfast all day. The breakfast menu is fairly large, offering a bevy of biscuit sandwiches as well as some classic morning sides. We ordered a decent representation of the menu: a chicken biscuit; a Cajun fillet biscuit’ a sausage, egg, and cheese biscuit; a bacon, egg, and cheese biscuit; a country ham biscuit; a plain biscuit; a “Bo-Berry” biscuit; and “Bo rounds,” the chain’s take on hash browns. The classic chicken biscuit is just that: a fried chicken fillet in a biscuit. There’s a warm simplicity to it, and the size of the chicken is generous. However, the meat itself is a tad on the dry side — similar to Bo’s chicken Supremes — and a touch too salty. A smear of jam on the biscuit might help alleviate this, but the taste could still be better. On the other hand, with the Cajun fillet biscuit, something clicks. The special Bo’s Cajun seasoning adds a subtle layer of heat with what seems to be paprika and cayenne. It works perfectly with the blank canvas of the chicken, and the salty, buttery biscuit tempers the spice to a reasonable level. It’s an incredibly good sandwich.